Maxim Brewery began full production in Houghton le Spring in 2007. To brew the best beers possible requires the best brewery equipment available. Our 20 barrel brewery equipment was previously at the Canongate Brewery on the Royal Mile in Edinburgh’s historic Old Town. This was Scottish & Newcastle’s pilot brew house and as you would expect, was built to a very high specification. Indeed, it remains probably the best equipment of its size anywhere in the UK today. Our flexible Brewery with its special Lautering system allows us to brew between 3,000 and 17,000 pints per day and importantly ensures that we can maintain the highest quality and guarantee a regular supply of cask, keg and bottled beers to the drinkers of the North East and beyond. the Crisp Malting Group of Great Ryburgh in Norfolk – Master Maltsters since 1870.
supplied from the Derwent Reservoir on the border of County Durham and Northumberland, one of the biggest inland waters in England. from Kent. 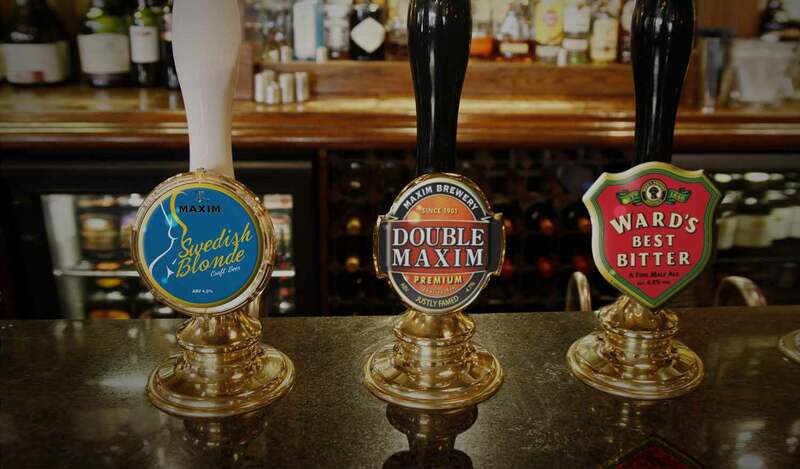 Our other beers use various varieties of hops from both England and across the world. subsequent brews ensuring the quality and consistency of the final beer.